When we were at school in Mauritius and, for the matter, in France, we didn’t have the chance to talk to entrepreneurs (we did not have family members or friends who were entrepreneurs.) The only professionals we regularly met were our teachers. Teachers, in general, have a very predictable life: same lectures, same colleagues, same kind of students, same office and (more or less) same salary year in year out. Teachers, in general, do not take too many risks as they do not want to move out of their comfort zones too much. In general, they are the exact opposites of entrepreneurs. Entrepreneurs, on the other hand, assume significant accountability for the inherent risks and the outcome of setting up their own start-ups. The most successful ones change the world with their innovative products and services. When we returned in 1998, Christina and I thought a lot about creating our own start-up but decided against it. In hindsight, we should have gone for it. Unfortunately, we still had a very distorted image of entrepreneurs at that time. 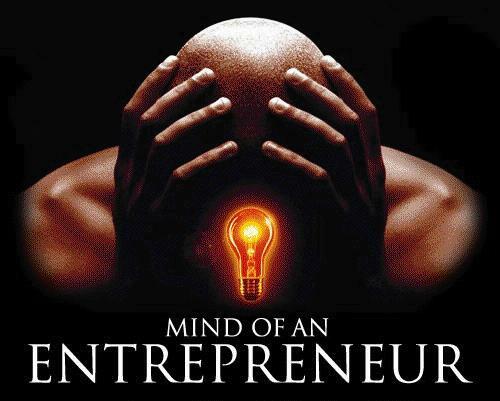 Compared to our role models, teachers, we felt entrepreneurs took too many risks, had too many things to take care of and, well, were too different… We didn’t realize they took calculated risks, took care of many things they were passionate of and were different because their mind was the mind of an entrepreneur. In 2008, I felt the need to (finally) become an entrepreneur. Two things prompted this, (1) the world of academia was losing its appeal to me and (2) some brilliant people I knew personally were quitting their jobs in big companies to join start-ups. Paul Graham, with his fantastic essays, also influenced me a lot. So, here I am, ten years after having returned to Mauritius, making a salutary change in my life: I am in the process of launching a company. Please stay tuned for more information. What else? You can operate while waiting to get VAT registered. You’ll have to specify the means of cash in, at the bank. Did you pick a name yet – for your company? What will it be into? I wish your new venture to be successful. See my comments on my blog. I encourage you in the new direction and shall be glad to be of assistance. Gr8! From experience I would advise you to have a good business plan and be very rigorous in money matters. Be prepared to be denied access to basic services (esp banking) which usually require you to be employed in an established company. There is indeed quite a lot of business opportunities in Mauritius, specially as regards to using the mobile phone as medium. I personally find quite a lot of small businesses who are quite averse of any type of electronic recordings, a paper based sales list is much more difficult to check by the tax authorities than a computer based system hence the tendency to avoid computerisation. Can you imagine the possible software solutions for the public transport sector? Why are we still using coins and notes when we could pay by the mobile phone? During conversations with friends I often discuss about how you could potentially launch a business without any IT infrastructure by using things like Amazon S3. In fact I once read about a company who provided document scanning services to small companies through this service. The company would send out self address envelopes to businesses needing scanning of their documents but the volumes didn’t justify a dedicated scanner and related software. This company would scan the documents, upload it into its website and the scanned documents would be available to the business. Now imagine a company in Mauritius who decides to host a service similar to Amazon S3? You then have very fast local communucations …. Anyway, as the saying about the shoe salesman in Africa goes, the one who said that nobody wears shoes so there’s a huge opportunity. Nice that you decided to change as I too I incorporated my company some 1 month back but I’m still setting everything up. I could not more stand working for a company with a director whom I wanted to break his face everyday, waking up at a particular time, getting home at a particular time…this started to really p. me off. I wanted to have my own time and be my own boss but nevertheless the exigencies of the clients is of paramount important..for e.g you should be ready to work till late at night or on sundays…and be ready to work with people from abroad (outsourcing) as I no more can trust mauritians…if they don’t want to work they just don’t reply their mobiles or e-mails when there is an urgent work to be carried out!! So, if you’re planning to be the director and only worker, that’s better.. If you need some help with your incorporation, shoot me an e-mail instead of paying those accountants huge amount of money for something you can work out yourself! Infact at around the same time i also is interested in doing some entrepreneurship… but ..lol.. am get lots of “kozE kouyon” at home just because i told em i wanted to grow vegetables massively after univ. I was reading some statistics the other day: one of every 10 American adult is an entrepreneur (maybe not successful but still…) Can this explain the kind of innovation and wealth creation that exists there? also i’ve learn that to make a business work it should never be a secondary source of money.. you’ll never put in the efforts and time required.. I have a nice business spot in plaine verte ready to take. Its infront of the Citer Martial market. So anyone who wants or has an idea am ready for the jump. – Sustainability: Success can take time to come and before reaching there you will probably go through a roller-coaster ride. You just need to hang on and stay focused. – Fail Early > Learn >Move on quickly: Making mistakes early diminishes your loss and helps you move on quickly as you are still a small structure that can readapt easily. Being an entrepreneur can be quite addictive. You are never certain which business idea is going to generate the highest ROI, so you try them all. And no matter how much you calculate your risks, contexts are continuously changing and adapting to them on the fly is practically impossible. The ‘luck’ element is a big thing when you are an entrepreneur. There is currently an entrepreneurship rush in Mauritius, which means there is more product/service supply entering the market while the demand is growing at a fairly slow rate. Worst of all, very few people seem to understand that having an innovative, creative, believable, deliverable and relevant business idea are key to having a startup that can achieve success. Instead, what we see is people copying the business concept/model of their neighbors while believing that since the latter was successful, they will be successful too. They don’t realize that they are just creating more competition than they need. The only solution they can ever find to make some money is to sell their products/services cheaper than their competitors. This is fine in the short-term, but its definitely not a long-term strategy. The concept of VALUE does not seem to be clear for a lot of Mauritian entrepreneurs. Strategy, Branding, and Innovation, which are what I specialize in, are currently being used as business tools and strategies by few entrepreneurs. The rest keep fighting on a flat ground and hope to survive by killing their competitors. – They don’t grasp the concept of differentiation – they still go by the books and think copying other businesses is safer. – They don’t realize the importance of core competencies as they think will be able to do things cheaply but at a mediocre level and the market will be satisfied with that. – They don’t realize the essence of business segmentation and market segmentation. They think its just a big melting pot out there. Anyway, if you want some tips on developing business ideas, I’ll be glad to help. All the best. Thanks for taking the time to write this long and very instructive comment. You are absolutely spot on the need to have a differentiation strategy, on properly doing branding and marketing (especially now in our Internet age) and being innovative. I like the tagline of Dare: Because Entrepreneurs Do! I wrote about the need to do things some weeks ago. I am thrilled that you are starting up as an entrepreneur. After 12 years of working for “the man”, I started up last year. I’ve decided I haven’t had this much fun in my life before. I am visiting Mauritius Oct 7-19, would love to share my experiences with you.